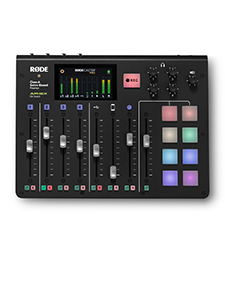 The new RØDEGrip is a versatile mounting chassis and pistol-grip for the Apple iPhone 4 and iPhone 4S that provides a wide range of integration options for iOS content creators. 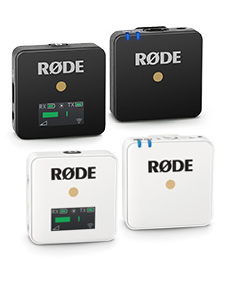 Users are able to mount their iPhone to a camera using the integrated shoe-mount, mount to a boom stand using the incorporated 3/8” thread, operate handheld using the ergonomics of the pistol grip, or even use the RØDEGrip as a desk stand for their device. 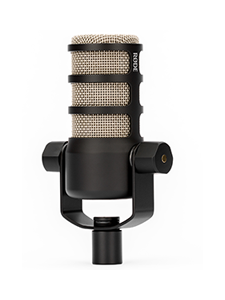 The RØDEGrip is also the perfect companion for the i-XY stereo microphone, allowing users to mount their iPhone in a fixed location while recording. Constructed from durable ABS plastic, the RØDEGrip assembles in seconds and folds down to a compact size for transport and storage. Three mounting points are provided for the camera-shoe attachment, to allow the user to rotate and move the iPhone into a number of orientations to suit the desired application. A deluxe version, titled the RØDEGrip+ is also available, adding a set of high-quality camera lenses that screw securely into place over the iPhone’s built-in camera when mounted in the cradle. The supplied macro, 180° fish-eye and 2X telephoto lenses give the user a much wider range of creativity when recording video with their iPhone. Both the RØDEGrip and RØDEGrip+ are shipping now.